Duck Island Mandarin & Bergamot 5 litre refill conditioner. An exotic, zesty and fragrant combination of mandarin and bergamot that will stimulate your senses, helping to create a more relaxed feeling. 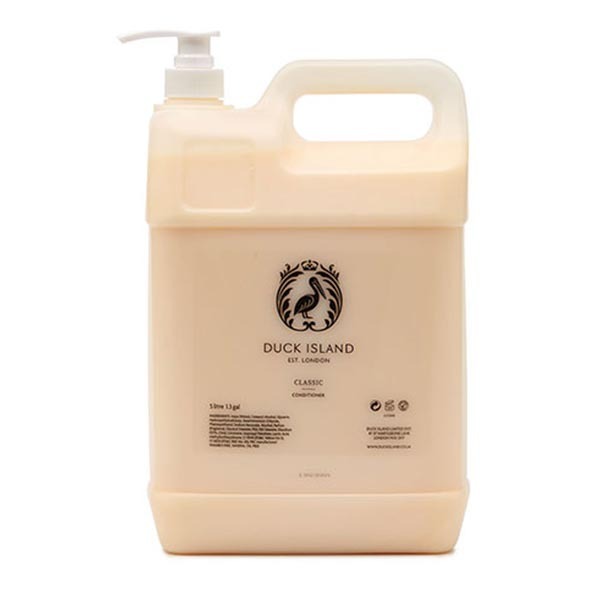 A 5 litre refill bottle complete with white pump mechanism to make is easier to refill your 250ml bottles. Printed clearly with full ingredients. 2 x 5 litre Bottles per Case. One pump per case. Supplied in 30ml bottles, 250ml pump bottles and 5 litre refills, catering for all sizes of establishments.